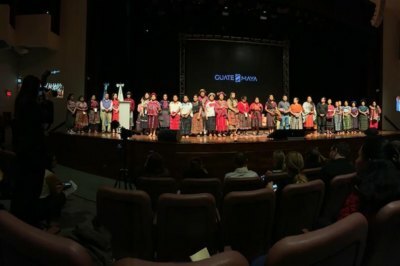 When Nest Advisory Board member, Livia Firth, invited our founder, Rebecca, to travel to Guatemala alongside CoutureLab Coalition founder, Carmen Busquets, for the Foundation for Maya Cultural and Natural Heritage (PACUNAM), how could she say no? In the company of conscious fashion’s cadre of trailblazing pioneers including Donna Karan and Nest Advisory Board member and CFDA president, Steven Kolb, Rebecca set out on a memorable two-day journey to identify concrete opportunities for joint ventures between artisans, CoutureLab members, international brands, designers, and institutions. The experience kicked off with private tour of Museo Ixchel del Traje Indigena, Guatemala’s museum of indigenous dress. Since 1973, the nonprofit institution has been collecting and housing a trove of textiles donated almost exclusively by Guatemalan collectors. On her second day, Rebecca spent the morning with CFDA president Steven Kolb moderating dialogue amongst some of the most noteworthy artisan leaders in Guatemala, representing businesses includingNest Guild members Meso Goods and Wakami. Also joining the conversation were representatives from Fundacion Pepsico and USAID. Following her days filled with workshops and discussions ranging from Naeem Khan’s conversation on craftsmanship in Haute Couture to Figue’s commentary on artisan as a lifestyle, Rebecca donned traditional Mayan attire for the trip’s closing dinner.